Addison’s disease: Characterized by adrenal hormone insufficiency, Addison’s disease can lead to muscle weakness and fatigue, weight loss, low blood pressure, low blood sugar, nausea, irritability, and depression. Celiac disease: Celiac disease is a reaction to gluten (found in wheat, rye, and barley) that causes damage to the lining of the small intestine. Graves’ disease: This is when the thyroid gland becomes extremely overactive. People who have Graves’ disease may have difficulty sleeping, irritability, unexplained weight loss, bulging of the eyes, sensitivity to heat, muscle weakness, brittle hair, light menstrual periods, and shakiness of the hands. On the other hand, some people with Graves’ disease may experience no symptoms at all. Hashimoto’s disease: This is characterized by inflammation of the thyroid gland. Although sometimes no symptoms occur, Hashimoto’s thyroiditis often results in a goiter (enlargement of the thyroid gland, which may be visible as a bulge in the neck), fatigue, weight gain, depression, muscle weakness, cold sensitivity, dry hair and skin, and constipation. Inflammatory bowel disease: This refers to a group of inflammatory diseases of the colon and small intestine. Multiple sclerosis: This disease affects the brain and spinal cord. People who have MS may experience weakness, trouble with balance and coordination, problems speaking and walking, paralysis, tremors, and numbness in the extremities. Pernicious anemia: An inability to absorb vitamin B12 causes a decrease in red blood cells. Psoriasis: This isa skin condition that causes redness and irritation as well as thick, flaky, silver-white patches. 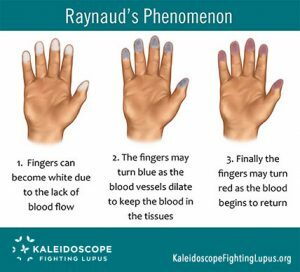 Raynaud’s Phenomenon: People with Raynaud’s have a problem with blood flow, resulting in numbness, discoloration, tingling of the fingers, toes, and tip of the nose with exposure to cold temperatures. Reactive arthritis: This can cause inflammation of joints, the urethra, and eyes; may also cause sores on the skin and mucus membranes. Rheumatoid arthritis: In rheumatoid arthritis, autoimmunity causes the immune system to attack tissues in the joints.It typically affects the small joints in your hands and feet causing painful swelling, stiffness and loss of movement in the joints that can eventually result in bone erosion and joint deformity. Scleroderma: This connective tissue disease causes changes in skin, blood vessels, muscles, and internal organs. The word Scleroderma actually means “hardening of the skin”. Sjögren’s syndrome: This disease destroys the glands that produce tears and saliva causing dry eyes and mouth; may also affect the kidneys and lungs. Systemic lupus erythematosus: In lupus, antibodies made by the immune system attack the body. This disease can affect skin, joints, kidneys, brain, and all other organs. Type 1 diabetes: In Type 1 diabetes, the immune system attacks cells in the pancreas that produce insulin. When your insulin levels are insufficient, your body cannot control your glucose level, which can lead to a number of problems, including kidney failure, vision loss, circulation problems, stroke, and heart disease. It is common for several autoimmune diseases to occur simultaneously in one person. These are often called “overlap” diseases. 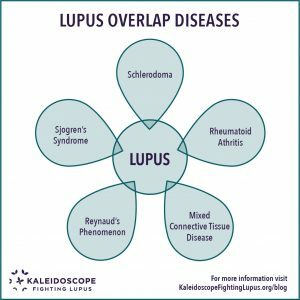 In lupus, for example, it is very common to have several of the above diseases overlap. Women of childbearing age (approximately 14-44 years): More women than men have autoimmune diseases, which often start during their childbearing years. People with a family history of autoimmune disease: Some autoimmune diseases can run in families, such as multiple sclerosis and lupus. It is also common that different members of a single family can be affected with different types of autoimmune diseases.Genetic predisposition can make it more likely that an autoimmune disease can be inherited. The combination of both genes and other perhaps external, factors may trigger the disease to start. Environmental factors: Certain events or environmental exposures may cause some autoimmune diseases or make them worse.Some of the environmental factors that could play a role in the development of autoimmune diseases are: sunlight, chemicals or solvents, and viral and bacterial infections. 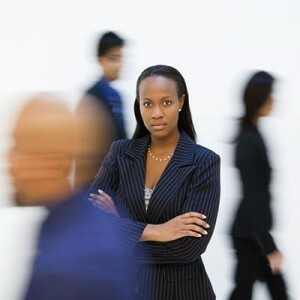 People of certain races or ethnic backgrounds: Some autoimmune diseases are more common or more severely affect certain groups of people more than others. For instance, type 1 diabetes is more common in Caucasians. 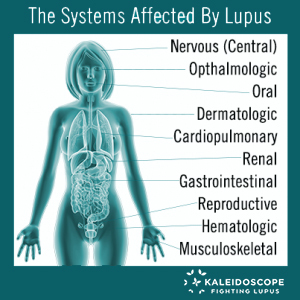 Lupus is most severe for African-American, Asian, Native American and Hispanic people. 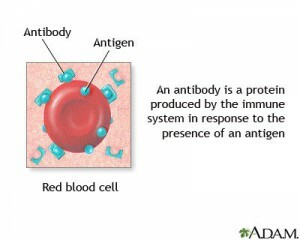 As we discussed in the beginning of this blog, your immune system produces antibodies (proteins that recognize and destroy specific substances). When you have an autoimmune disease, your body produces antibodies against some of your own tissues. Diagnosing an autoimmune disease involves identifying which antibodies your body is producing. 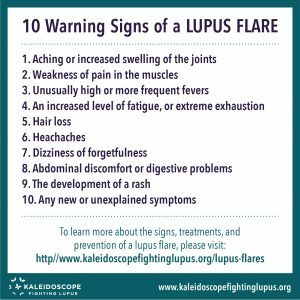 *It is important to understand that there is no singular test (with a result that is either positive or negative) that can confirm or deny a diagnosis of lupus or many other autoimmune diseases. The doctor must take into account the patient’s entire medical history and all of the other signs and symptoms being experienced. For this reason, it is advisable to keep a journal of your symptoms being as detailed as possible. This is a great tool to help communicate clearly with your treating physician. There is currently no cure for these chronic autoimmune conditions. Controlling the progression of the disease and decreasing the symptoms, especially during flares, are the main goals of treatment and disease management. If you have an autoimmune disease, you and your doctor will work together to create a plan to manage your symptoms.Treatment methods depend on the disease, but in most cases one important goal that is common to most autoimmune diseases is the reduction of inflammation. 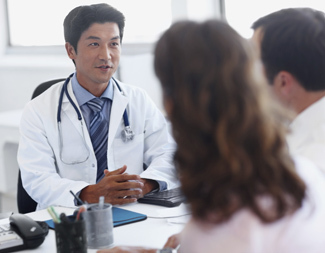 Although rheumatologists are the primary care physicians for those suffering with autoimmune diseases like lupus and RA, depending on the symptoms presenting, other specialists may be recommended.Regardless of how many physicians and specialists you are referred to, it is important to have one supportive and understanding main doctor to help you navigate your disease. This physician will have a holistic picture of your specific needs and assist you in coordinating care between specialists. Audiologist: A health care worker who can help people with hearing problems, including inner ear damage from autoimmune diseases. Counselor or Psychologist: These health care workers are specially trained to help you to find ways to emotionally [cope with your illness]. You can work through your feelings of anger, fear, loss, denial, and frustration. It can be very helpful for family members and caregivers to also be able to speak with someone about their feelings as well. Dermatologist: A doctor who treats diseases that affect the skin, hair, and nails, such as psoriasis and skin-related lupus conditions like discoid lupus and cutaneous lupus. Endocrinologist: This is a doctor who treats gland and hormone problems, including diabetes and thyroid disease. Gastroenterologist: Problems with the digestive system, such as inflammatory bowel disease (IBS) will be treated by this type of physician. Hematologist: These physicians treat diseases that affect blood, such as some forms of anemia. Nephrologist: This type ofdoctor treats kidney problems, such as [kidney nephritis] that can be caused by lupus. Kidneys are the organs that produce urine and clean the blood. Neurologist: A neurologist treats nerve problems, such as multiple sclerosis and myasthenia gravis and may be seen for various degrees of cognitive dysfunction (also known as brain fog) that accompanies many autoimmune diseases. Occupational therapist: These specialists can teach you new ways of doing things despite your pain and health issues. They can also recommend ways to change your work or home environments to better function specifically for you your needs. This can include how to use and where to find special devices that can make the activities of daily living easier. Physical therapist: A trained medical provider that can recommend and teach proper exercise techniques and activities to help patients with pain, muscle weakness, and stiffness resulting in restricted body movement. Rheumatologist: This type of doctor who treats arthritis and other rheumatic diseases, such as scleroderma and [lupus]. Speech therapist: A health care worker who can help people with speech problems from illness such as multiple sclerosis and other neurological issues. Vocational therapist: These healthcare workers provide job training for people who cannot do their current jobs because of their illness or other health problems. Both public and private agencies can help find this type of specialist. Are my symptoms a sign that I might have an autoimmune disease? Based on my symptoms, what kind of autoimmune disease am I likely to have? What tests should I have? What do they look for? If I have an autoimmune disease, can it be treated? Is there anything that can be done now to help me feel better?